Let’s say you have 16 students but you need to work on kata, but you have a mix of grades, black belts, white belts and several colors in between. 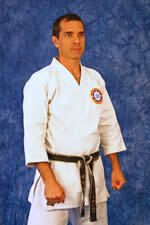 If you just work on the simple kata as a group, the black belts get bored. If you work on the advanced stuff, the others become overwhelmed. 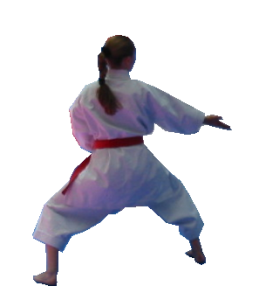 If you start with the simple kata and work your way to the advanced kata, eliminating students as you go… well you’re excluding students, and wasting valuable time in which they could be learning or practicing. When I’m confronted with such a scene I often use a method that makes the higher grades feel important, helps the lower grades gain a different perspective and simultaneously helps everybody learn. It’s kinda like a “big brother” program where an older person volunteers to mentor a younger person. I call it the Kata Mentoring Method (KMM). The way I use this method while teaching a karate class is to have the higher grades partner with lower ranked students. I then assign a kata for the less experienced student to learn or refine and make it the higher belt’s job to teach it to them. After all students have paired off, I give them 15 minutes or so to work together to improve their kata. At the end of the time, both “mentor” and “student” will present the kata they’ve been working on for the rest of the class. Sometimes I have them do the kata in synchronized fashion, and sometimes they might demonstrate the bunkai / application. This method has so many wonderful benefits. Lower ranked students learn from someone other than you. Your higher ranked students (mentors) impart with some of their knowledge, which also helps them learn. Your higher ranked students are acknowledged and feel significant. Your higher ranked students learn to develop leadership, communication and teaching skills. Students work together with each other which forms bonds and friendships. It takes the pressure off of you as a teacher. If not I highly recommend you do… and don’t be concerned if your mentors aren’t perfect. They aren’t. Neither are you or I. The important thing is that something will be learned by both mentor and student, and nobody is excluded during class. You’ll also see an improvement in morale and develop a group that supports each other.